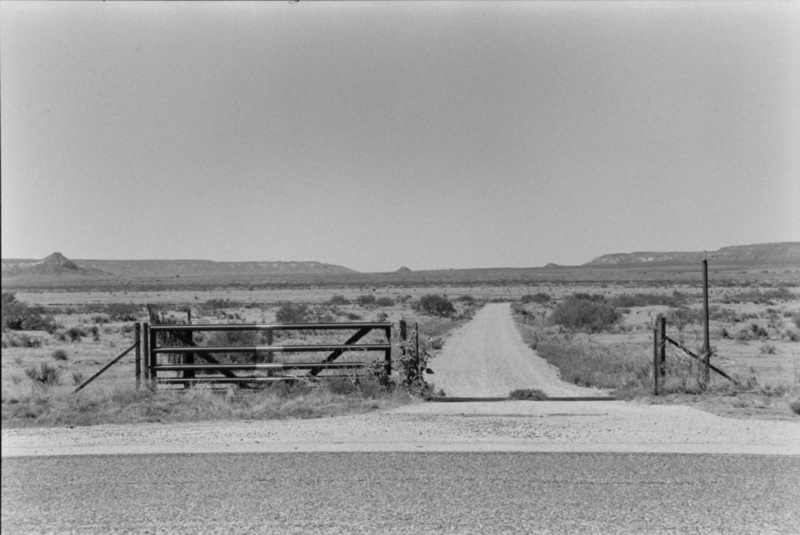 In the Spring of 2000, Melissa Cicetti won a travel research grant from the New York AIA to take black-and-white photographs during a road trip on Route 66 through New Mexico, Arizona, and California. While studying the photographs from that journey, Cicetti became ever more intrigued with our relationship to the land we occupy and how we dwell upon it. Instinctually, Cicetti excluded people from the images, thus avoiding person-as-object. Human absence is instead felt as a presence – as the resonate dialogue between built and natural form. As further demonstrated in the framing and content of the images, Cicetti perceives nature as a medium through which we may gain an understanding of self and approach the land from the standpoint of where and how “I” (humankind) may occupy space. Our marks upon the land help reveal and define our relationship to the earth – the thing which grounds us and allows us to exist in harmony or discord with our environment.